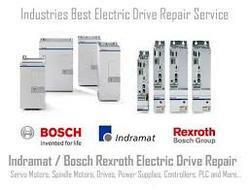 Rexroth servo motor repairsfor customers across the country. Our trained and experienced technicians have logged hundreds of hoursrepairing Rexroth servos, and draw parts from our extensive on-hand OEM inventory. All motors are fully load-tested after being repaired; using our database of Rexroth technical schematics and specifications, each motor is matched to its unique part number and aligned to factory specifications. We “Epromsis Technologies” are contributing all our resources by manufacturing, trading and supplying qualitative assortment of AC Drive, Servo Drive, Stepper Motor & Drive, Electronics Encoder, Electrical Board, Bluetooth Solution, etc. Incorporated in the year 2012 at Ahmedabad (Gujarat, India), we have constructed an advanced infrastructural base that is segregated into various departments such as Procurement, Production, Quality Testing, R&D, Warehousing & Packaging, sales & marketing, etc. All these departments are handled by our highly experienced professionals, who hold rich industry experience in their concerned domain. Our professionals work cohesively with one another and with client to comprehend their specific requirement and accordingly develop products. We also provide Servo Motor Service, Android Development Service and Embedded Product Development Service, etc. In our quality testing department, our quality inspectors rigorously test the offered products on various quality parameters to maintain international quality in product range.